Happy 2nd day of Spring! 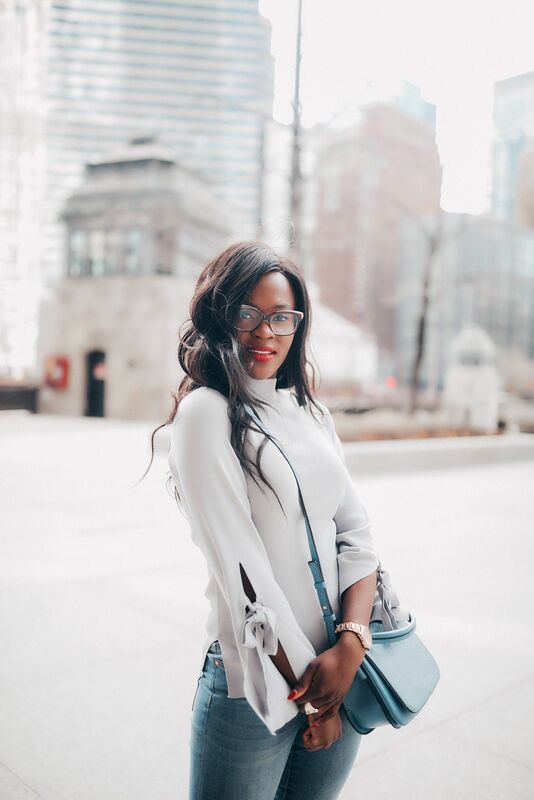 I am excited to be teaming up with Zyloware and to show you how to incorporate the most fashion forward prescription glasses into your stylish looks! It’s funny how much attention we pay to how we look on the outside but forgot to take care of ourselves on the inside, or our health in general. If you are like me, you overlook things like vision care and are completely noncompliant when it comes to wearing prescription glasses or eye contacts. Until recently, the last time I wore prescription glasses was about 4 years ago. I managed to drive over the last pair I had four years ago and it’s being history ever since. A few months ago, I went to see an optometrist for my annual eye exam. Incidentally, she found in hole in my retina. Apparently, a retinal hole can gradually or spontaneously progress into a retinal detachment which leads to blindness. I was shocked, so were my doctors because apparently this mostly happens in older adults or people with moderate to severe visual impairment or from injuries. None of the above applied to me (I think). I had a mini surgery to get the hole repaired, essentially a procedure called Laser photocoagulation. I went back to work right after, so it was not a huge deal! But it could have been, I was lucky to have discovered it early. Needless to say, I take good care of my eyes now! Thanks to Zyloware, I am back to wearing my glasses and stylishly incorporating them in my looks! Zyloware has so many gorgeous styles, from classics to more edgy frames, whatever fits your style. 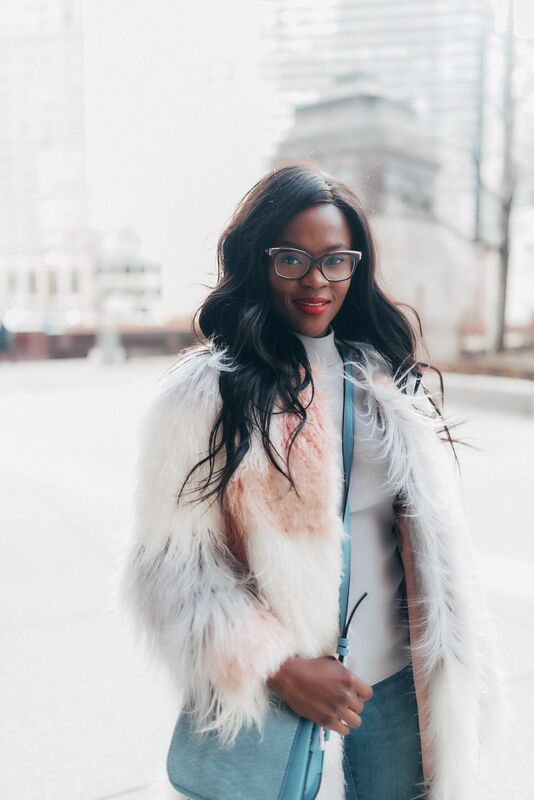 You can even put your prescription lenses on a pair of sunglasses if you prefer the stylishness of a piece. The trick to selecting your frame is understanding the shape of your face. You don’t want a frame that is too huge or overpowering on a slender face like mine. I am wearing the Leon Max 4003 in the first look which is classic and goes with any outfit. This is perfect for when you are already wearing a statement outfit, which calls for more classic and simple accessories. The Second looks features the Via Spiga -Stella in red and tortoise in the second look! 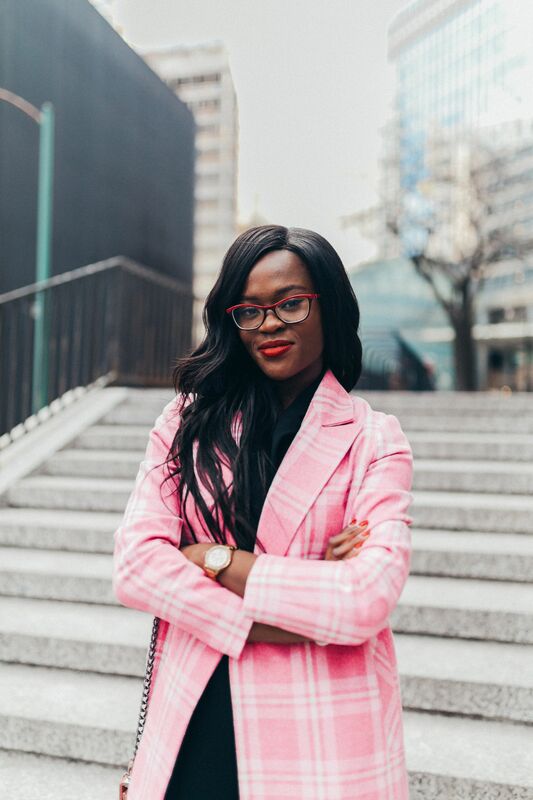 The cat eyes frames with red detailing on the Via Spiga are my absolute faves, as they add an edginess to my entire look. 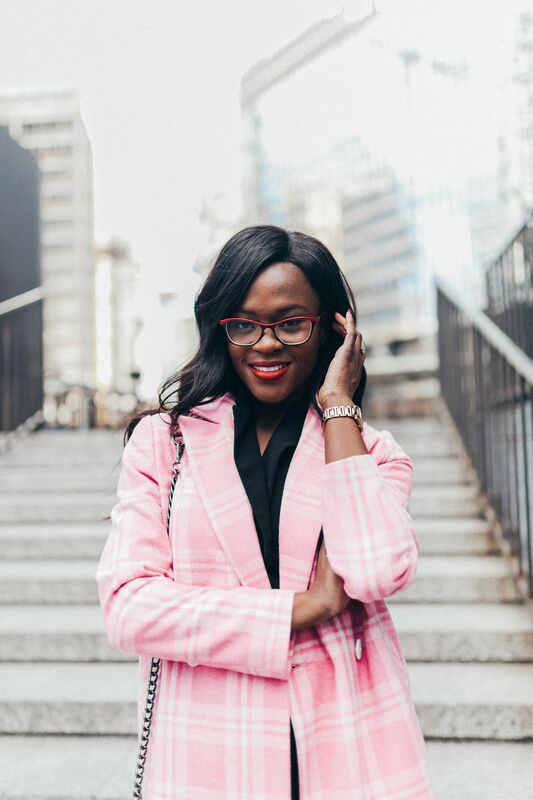 Another hint, an accent of color on your frames instantly elevates the appearance of your glasses and especially when you are wearing similar tones on your outfit. This is perfec when you want to draw attention to your face! My main message to you loves, take care of your eyes and vision. You only get a pair!